Donald Trump had often said that the “Iran deal was a bad deal,” but when he became president of the United States, he didn’t withdraw from it immediately. In fact, it took him more than a year to decide on his course of action, but every three months he shot a warning in the direction of Tehran with a deadline saying he would pull out of the nuclear deal if it did not meet his demands. Finally, in May, despite western countries’ efforts to keep the US committed to the deal, Trump pulled the US out of the agreement, perhaps to show the Iranians that he was indeed serious. The first round of “soft” sanctions returned in August, while the “hard” sanctions, on oil, shipping and banking, were imposed Nov. 4. Unsurprisingly, the cost of living in Iran has quadrupled in a matter of months in comparison with last year. Affordable living has become harder and harder for average Iranians, and their frustration with the Iranian regime, like their debts, is also increasing day by day. Now they are even angry with the reformists, represented by President Hassan Rouhani. Through social media, Trump and his administration tell ordinary Iranians that their government is spending their money on regional conflicts, and the sanctions will restrict the financial resources available to the regime to spend on its regional activities. Rouhani has served his two terms, and his party will need to find a popular alternative candidate to convince Iranians to trust them for another term. It is no secret that the Islamic republic supports, funds and arms Shia militia groups in the region, Hezbollah in Lebanon, the Houthis in Yemen, and Islamic Jihad and Hamas in the Palestinian territories. Now similar groups in Iraq and Syria are also on Iran’s payroll. Israel needs to make peace with Palestinians and normalize its relations with countries in the region, but that cannot be possible as long as Tehran is funding the militia. Looking ahead to how both countries’ political fortunes could change, Trump can run for election again in 2020, if his candidacy is approved by the Republican party. 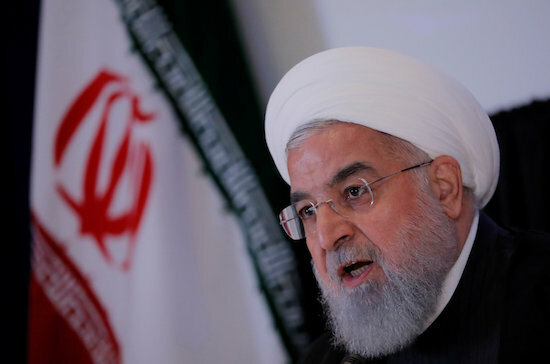 However, Rouhani has served his two terms, and his party will need to find a popular alternative candidate to convince Iranians to trust them for another term. If the economical and political situations continue, it is likely that a conservative candidate will win the next presidential election in 2021. Iran’s current leaders cannot look beyond the Islamic revolution of 1979 which brought them to power and cannot transform themselves into modern, progressive nation. The Supreme Leader, Ayatollah Ali Khamenei, argues that Iran will not abandon its regional interests on the orders of the US, calling on the Americans to leave the region, where they do not belong and have created so many problems. The sanctions will have a devastating impact on ordinary Iranians, but it is hard to say whether they will result in regime change or just in the regime changing its behavior. Maybe it is somewhere in between. Exemptions for some countries importing Iran’s oil may be extended for another six months to see if Iran takes some progressive actions at least in Yemen and Syria, in favor of the US allies, Israel and Saudi Arabia. The challenge confronting President Rouhani and his reformists is how to survive the sanctions and the public anger over them. Whether Trump wins his next election or not, they will face a big challenge to their legitimacy.